Ex Conti CEO Neumann is an expert in hybrid and electric cars. Former Continental CEO Karl-Thomas Neumann will be the new head of Volkswagen AG operations in China, the group's single largest market and a key source of growth, VW said. 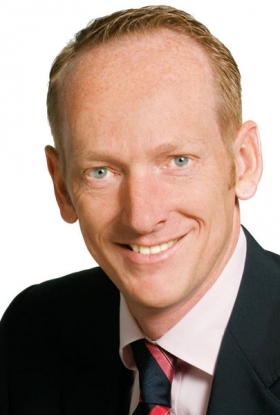 Neumann, 49, will replace Winfried Vahland, who moves to head VW's Skoda unit. A highly respected manager, electronics engineer and expert in hybrid and electric cars, Neumann is being sent to China to gain experience in the world's largest car market where VW group sales rose nearly 37 percent to a record 1.4 million units last year. Winterkorn is said to be a big admirer of Neumann's ability and offered him a job as head of electric propulsion in November following Neumann's resignation as CEO of German supplier Continental after he lost a power struggle to Continental's dominant shareholder Schaeffler last August. One of Volkswagen's most promising young executives, Neumann is a possible contender to succeed Winterkorn, but he still needs to make the jump to the management board that has already been achieved by recent board appointments Rupert Stadler of Audi and Christian Klingler, the VW group's head of sales. Neumann first joined VW in 1999 as head of electronics research and electronics strategy, later also assuming responsibility for electrics and electronics at the Volkswagen brand. He left VW to lead Continental's automotive systems division in 2004 and was Continental CEO from August 2008 to September 2009. Vahland took over as head of China in July 2005 and successfully restructured Volkswagen's operations there. At Skoda Vahland, 53, succeeds Reinhard Jung. While Skoda, VW's Czech-based value brand, has posted strong growth and profitability in recent years, Vahland will be responsible at Skoda for a sales volume of only about 700,000 cars -- roughly half the size of VW's retail figures in China. Jung will retire at the age of only 59. Some German newspapers had reported Winterkorn was unhappy with Skoda expanding too much into upmarket territory traditionally reserved for the VW brand, cannibalizing sales of the group's flagship marque. Germany's Spiegel magazine said Winterkorn was furious recently when the new Skoda Superb sedan won a comparison test against VW's Passat in the influential German auto magazine Auto Bild. Vahland is a graduate of the General Motors Institute in Michigan and worked for GM's Opel unit from 1984 until joining VW's Audi brand in 1990. Rudolf Krebs will replace Neumann as head of electric traction. Krebs, 53, currently is head of VW"s Salzgitter factory in Germany. The changes take effect September 1.